Columbus, GA—RiverCenter presents The Rainbow Fish on May 11 at 6:30 p.m. The heartwarming story of The Rainbow Fish, with his silver scales and heart of gold, has captivated children across the world. The book by Marcus Pfister is the winner of The Christopher Award, The Bologna Book Fair Critici in Erba Prize, the IRA-CBC Children's Choice title and is an American Booksellers Association ABBY Winner. The sweet message of The Rainbow Fish resonates with children, as the beautiful little fish learns to share his most prized possession. 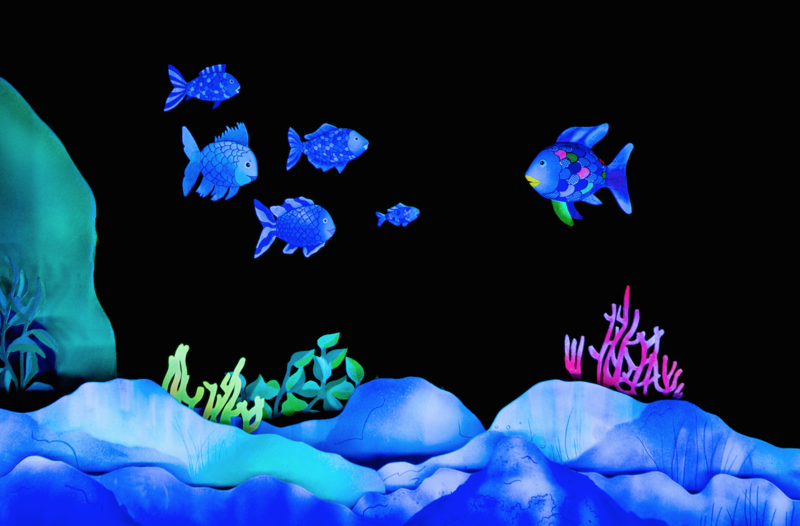 This enchanting stage adaptation by Mermaid Theatre of Nova Scotia brings the adventures of The Rainbow Fish to life through puppetry. In conjunction with The Rainbow Fish, RiverCenter will host the Columbus Library’s Bookmobile on Saturday, May 5, from 9 a.m. until noon, with FREE story readings and art activities for kids. The Rainbow Fish is part of the RiverCenter Discovery Series. Tickets for The Rainbow Fish are on sale now and can be purchased at RiverCenter’s box office Monday-Friday from 10 a.m.-5:30 p.m., by phone at 706-256-3612, and online at www.rivercenter.org. RiverCenter Inc. is your independent nonprofit arts organization proudly serving the ChattahoocheeValley. For more information about RiverCenter performances, please contact Carrie Corbett at ccorbett@rivercenter.org.